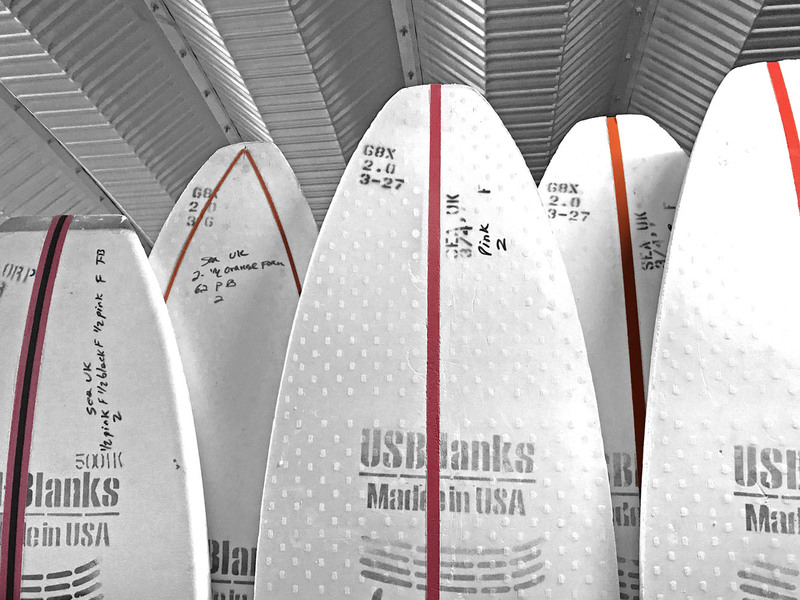 US Blanks Eric Arakawa designed 6’6″EA. 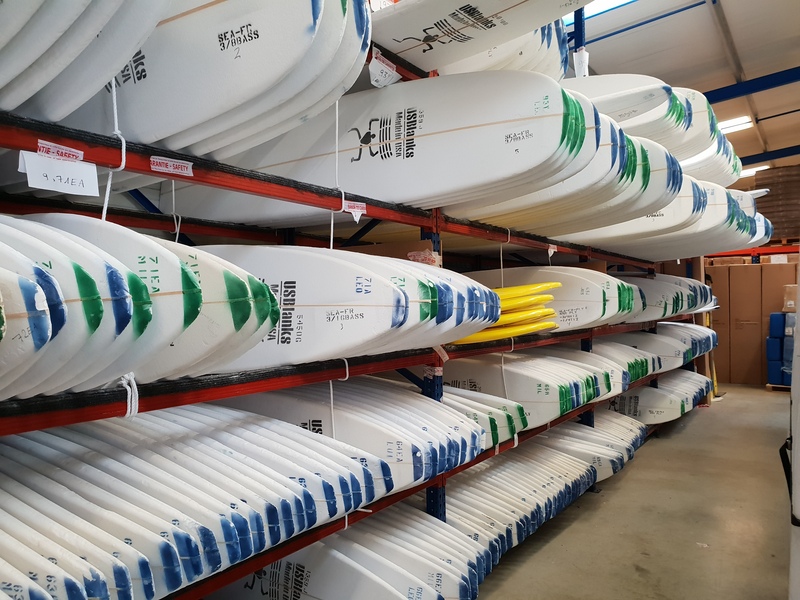 6′ 06 1/2″ long x 21 7/16″ wide x 2 7/8″ thick with our stock 4mm unidirectional PLY Stringer. Our biggest Seller. 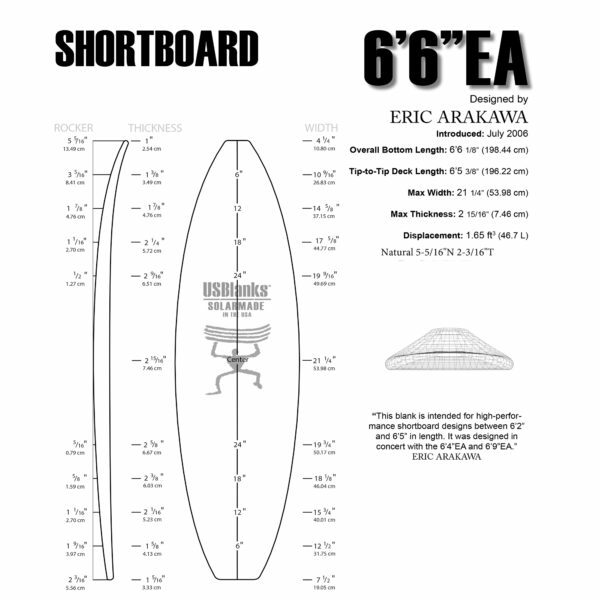 Shaper’s Comments: This fills the gap between the 6’3″ EA and the 6’9″ EA. In the original catalogue, this blank was called the 6’8″EA. After remeasuring, the true dimensions of the blank measured 6’6 1/2″ so it was renamed 606EA. US Blanks Eric Arakawa designed 6’6″EA. 6′ 06 1/2″ long x 21 7/16″ wide x 2 7/8″ thick with a 4mm PLY Stringer. Our biggest seller. 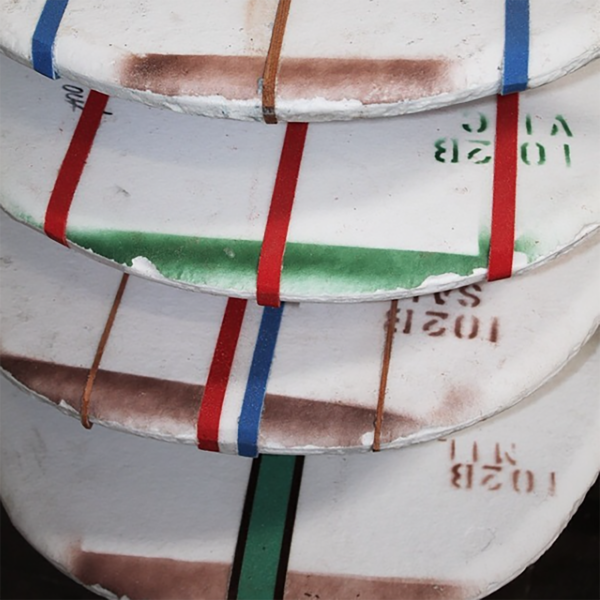 Shaper’s Comments: This fills the gap between the 6’3″ EA and the 6’9″ EA. In the original catalogue, this blank was called the 6’8″EA. After remeasuring, the true dimensions of the blank measured 6’06 1/2″ so it was renamed 606EA.